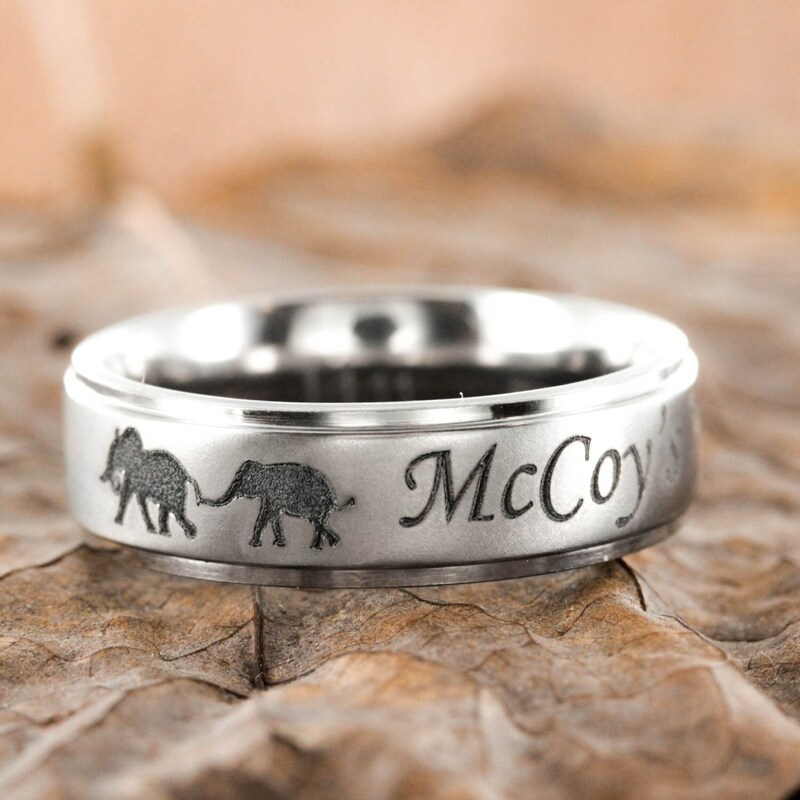 This is a titanium ring that we have etched a family of elephants around a family name- Very cool. No one can engrave like us. Let us know the name you want in your order comments. 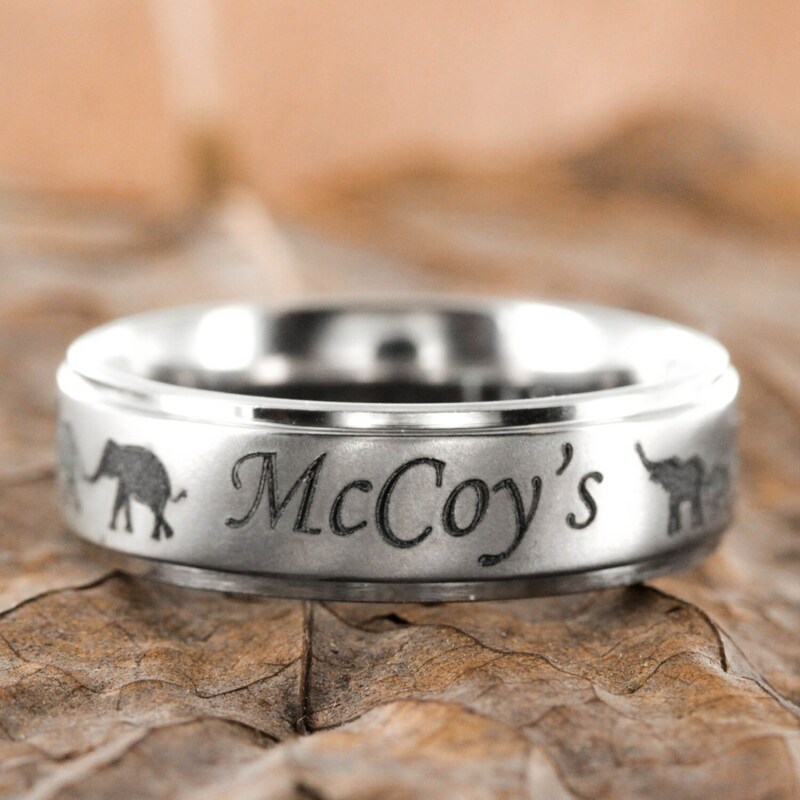 The name and elephants are actually etched deeply into the ring so they will never go away! 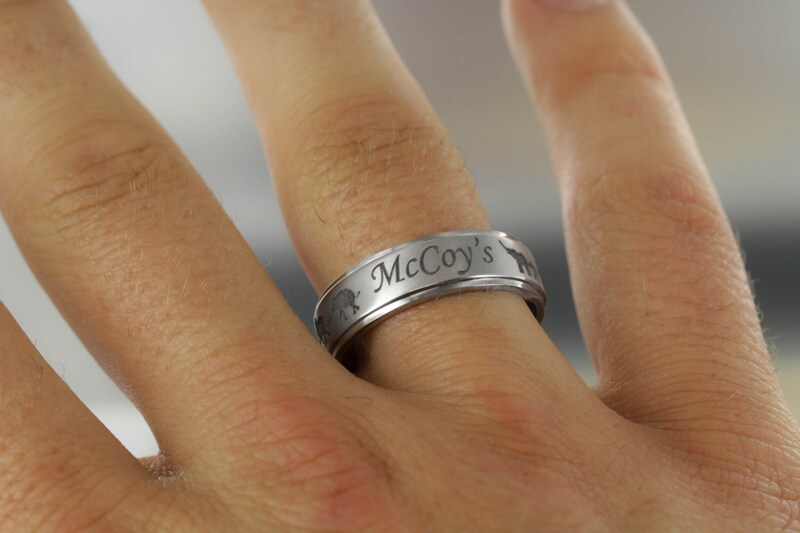 The ring is 7 mm thick. 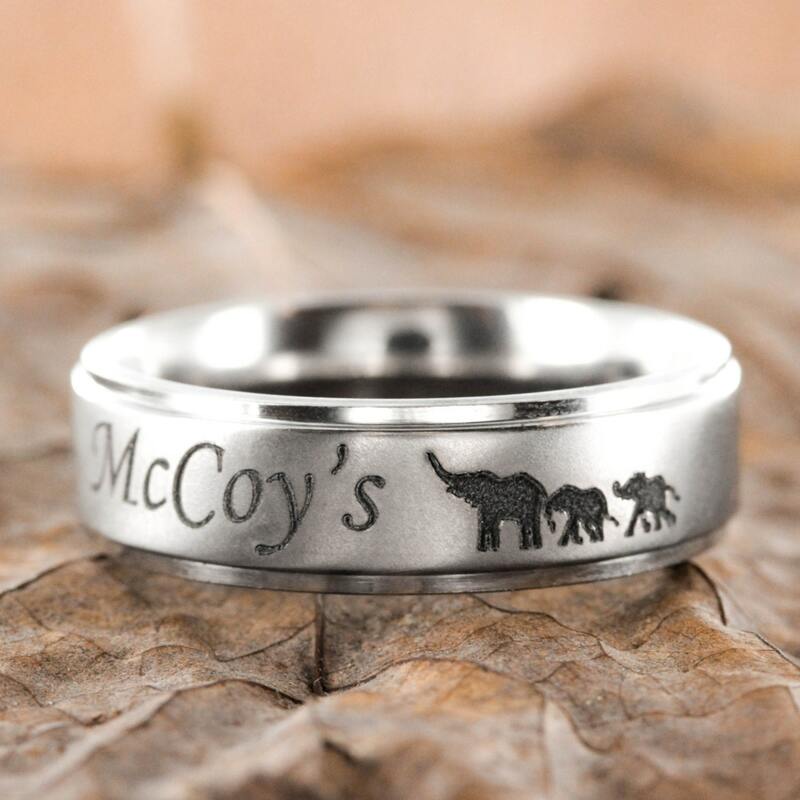 If you let us know how many children you have in your family in your order comments we will etch that number of baby elephants into the ring.